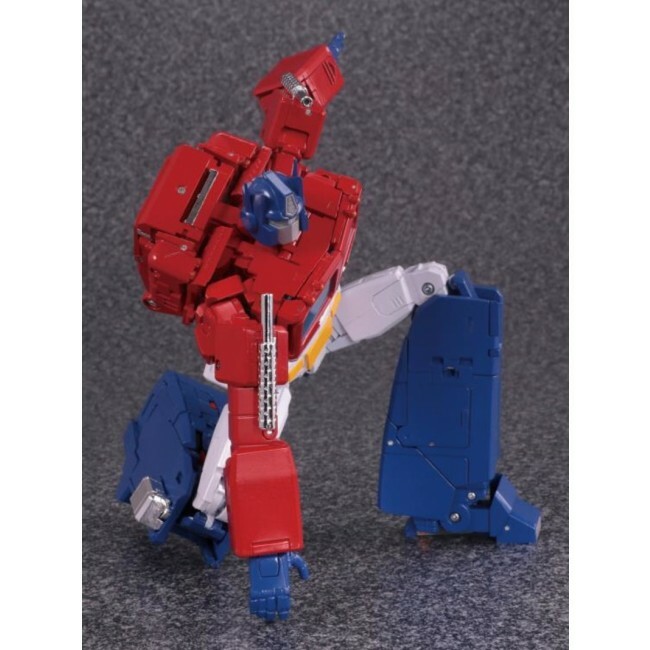 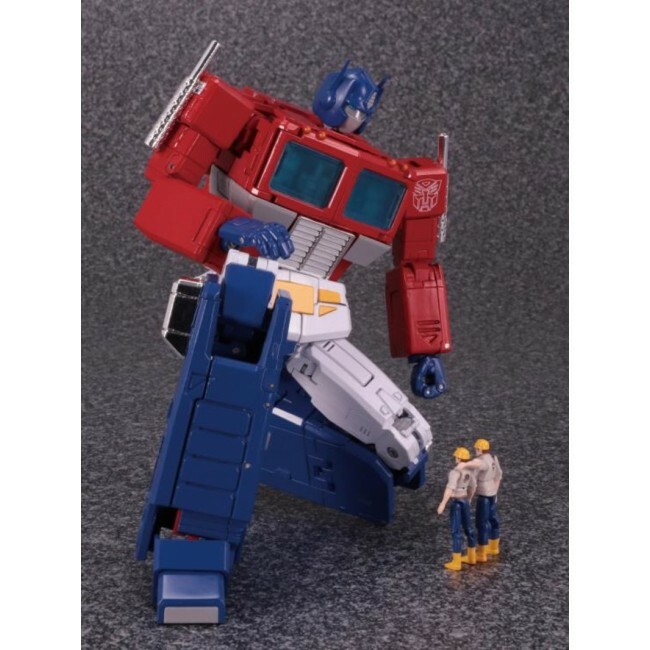 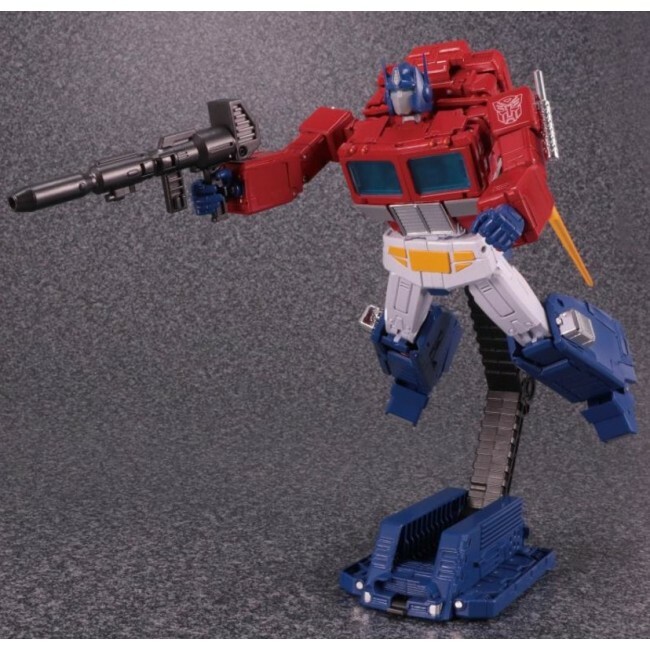 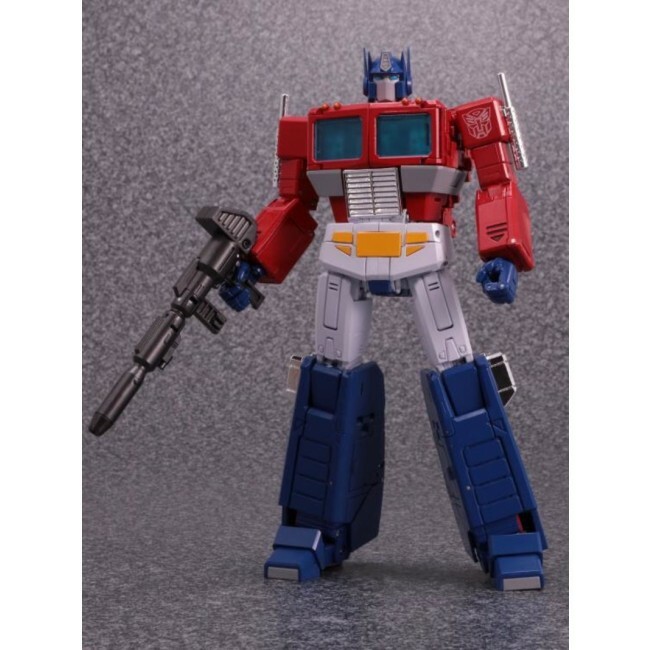 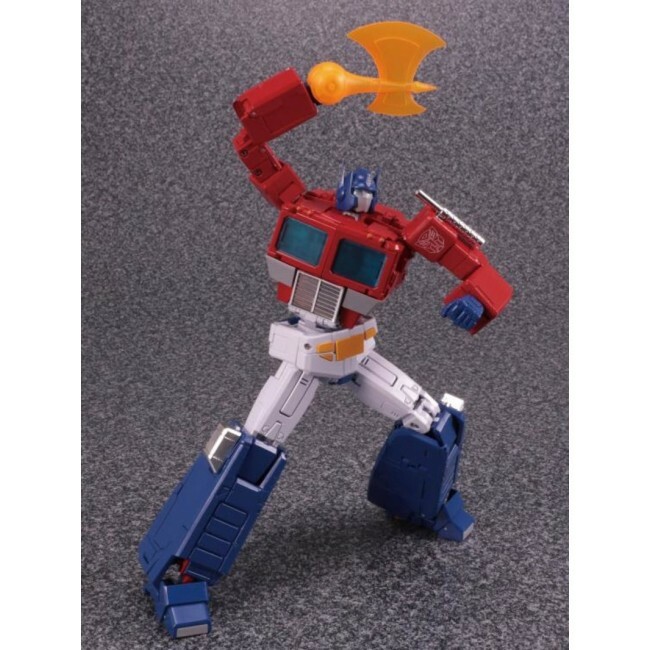 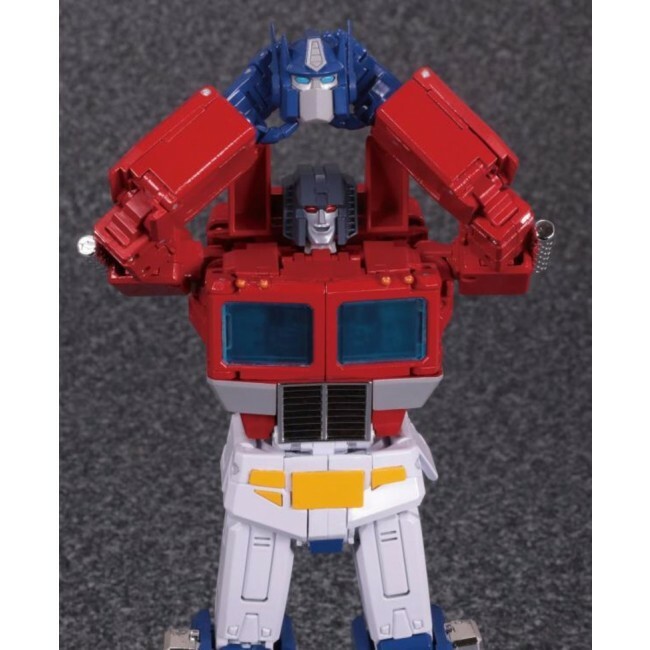 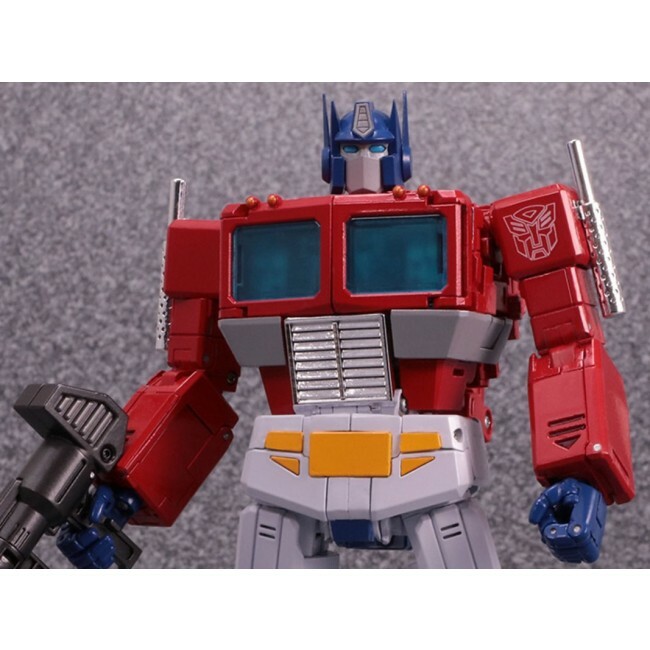 Transformers MP44 Masterpiece Convoy 3.0 (Optimus Prime Ver 3.0) is an all new remastered version of Optimus Prime, reflecting his more anime / cartoon styling! 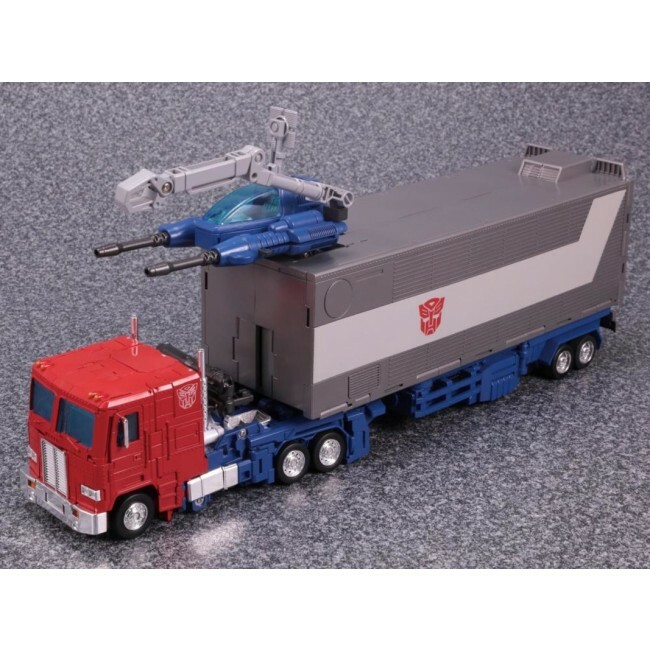 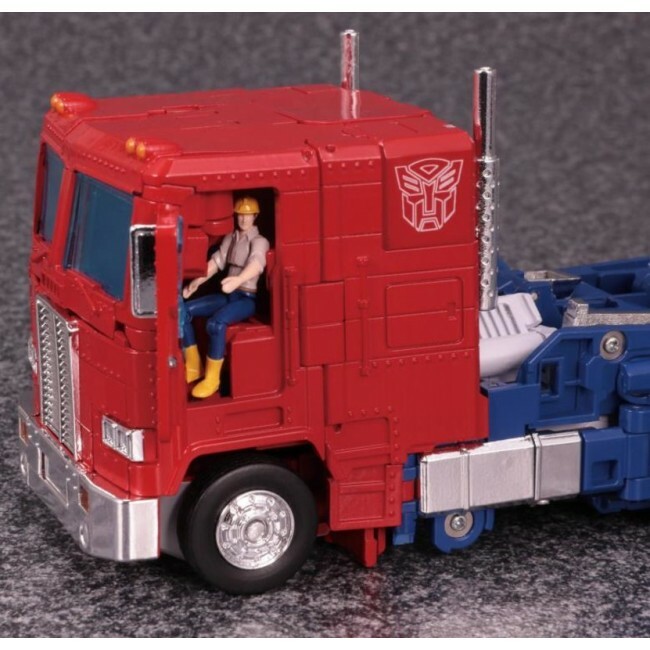 Convoy transforms from truck cab with tractor trailer to robot and back! 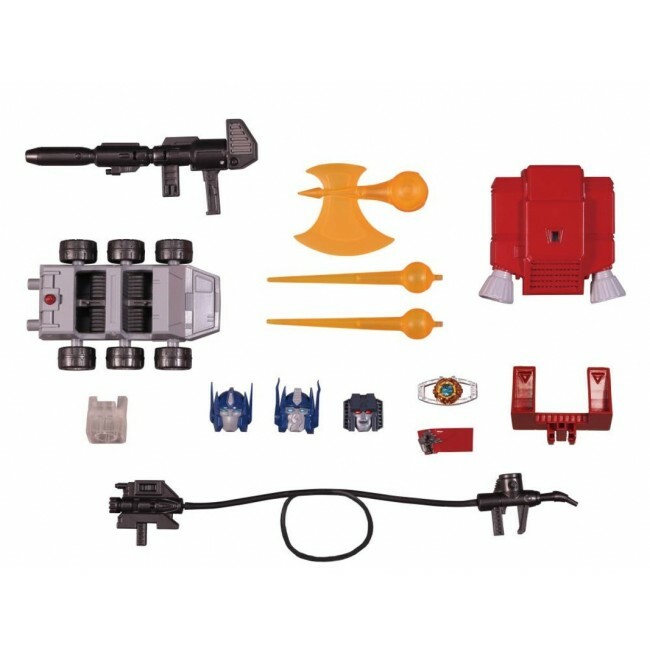 Optimus Prime comes with accessories which include his trailer, energy axe, rifle and blast effects, Spike and Sparkplug figures, Roller, a detachable repair bay bot that is mobile and attaches to Roller, extra battle damaged head, extra Starscream head, Starscream shoulder pieces to mimic the episode where Starscream disguised himself as Prime, gas pump and hose, Matrix of Leadership, Jet Pack and more! 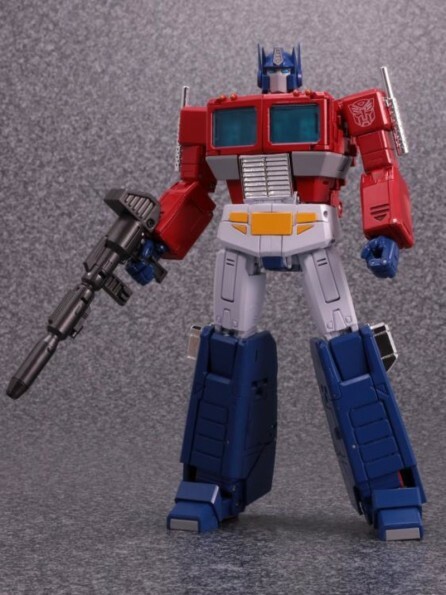 Relive all the glory of the original G1 cartoon with this remastered and all new version of Optimus Prime! 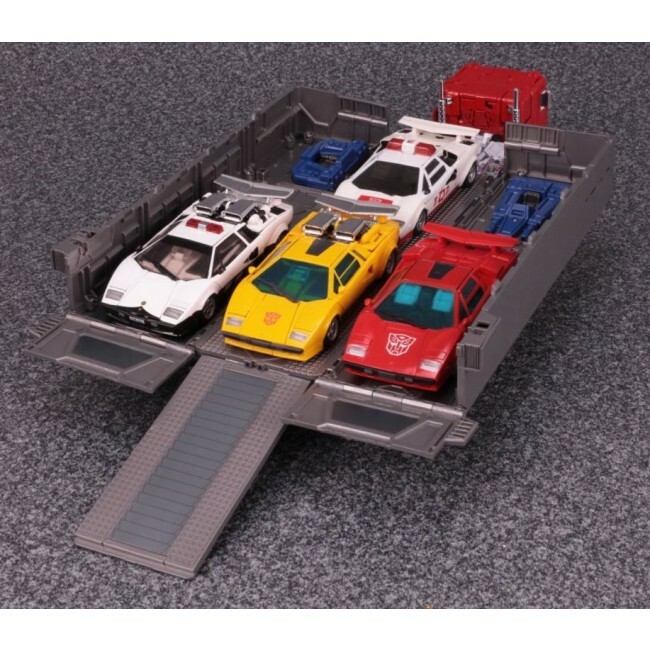 *Other masterpiece vehicles shown are not included. 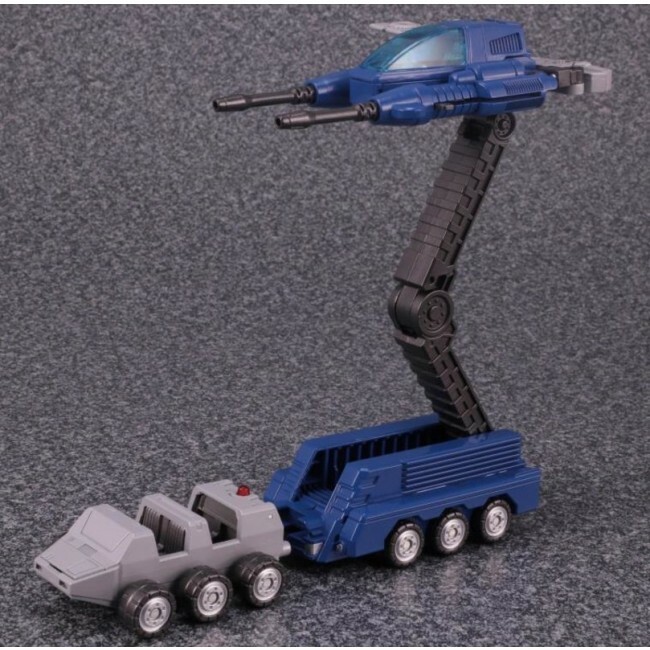 MP44 Trailer can hold them as shown.